PayPal is today launching a new credit card, the PayPal Cashback MasterCard – its first card to offer shoppers direct cash back on purchases, instead of points that vary by category. The card, introduced in partnership with Synchrony Financial, will offer 2 percent back on purchases, with no annual fee, no minimum redemption amount, no restrictions on how to spend cash rewards, and no expiration, the company says. It will also include security protections from PayPal, as well as standard MasterCard benefits like extended warranty coverage, purchase protection, and identity theft resolution assistance. PayPal purchases, meanwhile, will receive PayPal Purchase Protection at no additional cost. The card is only available to PayPal members, and it’s automatically added to users’ PayPal’s wallets, once approved. That means consumers can begin to use the card even before it arrives in the mail. This is not the only credit card PayPal today offers, but it may become its most compelling in short order, especially given consumers’ preference for cash back cards. 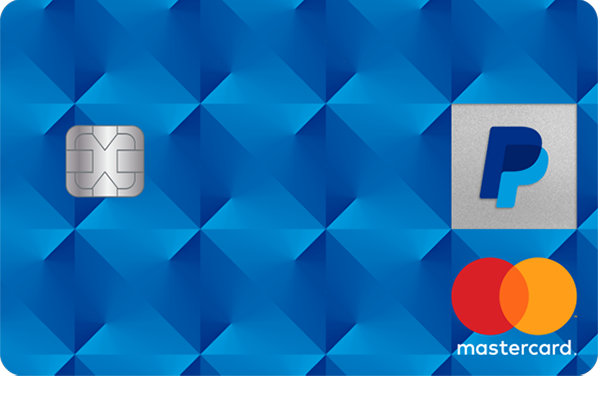 The other cards include a PayPal Extras MasterCard for consumers that uses a more traditional 3-2-1 rewards points system, where you can earn more points for things like gas stations and restaurant purchases, as well as money spent on PayPal and eBay. Ebay, which spun off from PayPal back in 2015, has a similar card that’s still managed by PayPal, alongside its other payment and credit offerings for eBay customers. Those also include PayPal Credit, an online credit line which can be used at businesses accepting PayPal. The move to introduce a cashback card is part of PayPal’s quickly evolving strategy to increase its traction at point-of-sale, where mobile payments alternatives like Apple Pay, Android Pay, and Samsung Pay are gaining ground. To that end, PayPal has been partnering across the industry – even with payments rivals like Apple, as well as bank issuers like Chase and Citibank, tech companies like Facebook, Google and Samsung, and those with their own digital wallets and checkout systems, like Baidu, Visa, and MasterCard. PayPal, which today has more than 210 million users, hopes this new cash back card will help with its larger agenda to increase PayPal usage online and in stores. “Cardholders can manage their accounts, redeem Cash Rewards and make payments by logging into their PayPal account, giving customers another reason to access and use their PayPal accounts,” a company spokesperson explains. PayPal already knows that its cardholders use its service more often than others, which in turn, increases the number of transactions per account. On average, PayPal customers who adopt a PayPal credit card spend 35 percent more than those without. “Early results show that PayPal customers with a PayPal credit card log in to the PayPal mobile app and PayPal.com three times more often than before getting the card, creating more opportunities for engagement,” the spokesperson noted.